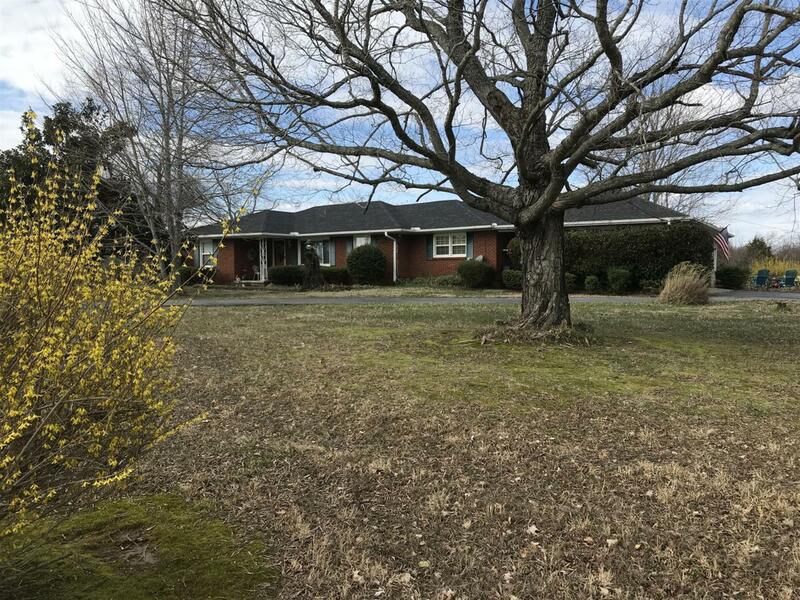 All brick one level home sitting on approx 1.63 acres**2 car carport**detached garage**Stone fireplace in den, kitchen, diningroom & livingrom. Beautiful views from kitchen window. Lots of closets!!! Huge laundry room. Hardwood is under some of the carpeting. Tiled kitchen floor. 100% Loans available on this home!